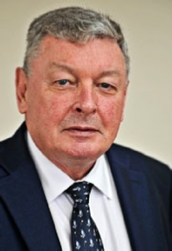 Professor Robin Callender Smith has been a media law barrister for over 35 years working with national newspaper editors on complex pre-publication issues. He is an expert on the law of privacy, data protection, intellectual property issues and he works as an Information Rights Judge. His new book Celebrity and Royal Privacy, the Media and the Law was published by Sweet & Maxwell in December 2015. He is Visiting Professor of Media Law at his Queen Mary University of London, where he completed his LLB (1973), LLM (2010) and PhD (2014). He is now completing his latest book, of general interest to a wider audience: Above the Law. The book reviews in historical and up-to-date contemporary depth the relationship between the royal family and the law and all the problems maintaining privacy – in the knowledge that the un-spun truth may emerge from archive material – has created in this area, particularly with the print media and the internet. When not teaching at QMUL or working as a Council of Europe expert in his specialist areas, the rest of his time is spent as an industry regulator (Ofgem and PhonepayPlus), on Metropolitan Police disciplinary hearings and as a financial commercial disputes adjudicator for Qatar. We are pleased to be representing him for his latest work Above the Law, which deals with the relationship between the Royal Family and the law.